Dynamic Events is an association of companies that provide special services for corporate events. Its offer is unique of its kind in Italy, and, taking all aspects into consideration, novel on an international level as well. The association guarantees, from all members, an equivalently high level of reputable, reliable and professional services both for the corporate client and the event agency looking to organise “off the box” events, characterised by healthy dynamism, sport and contact with nature, together with a strong personal involvement of the guests. From tours in vintage mopeds and cars to road shows on truck, from the dragon boat to sailing regattas, not forgetting hot air balloons and Ferraris, as well as historical-artistic guided tours to usually inaccessible sites, Dynamic Events covers all those special services whose brilliant effectiveness in terms of entertainment, incentive and team building, has already been tried and tested by the market. The Dragon Boat Experience is specialized in organizing outdoor activities for corporate groups: apart from the specific activities carried out by Dragon Boat, they are specialised in Polynesian canoe, rafting and canoeing in general, as well as all those sports activities that are considered particularly suitable for team building. 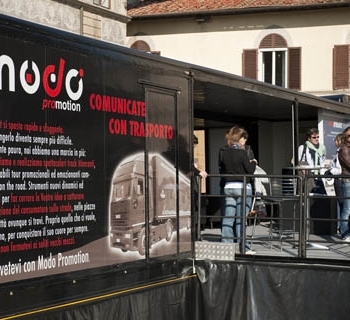 Modo Promotion is specializing in organization and management of tours and promotional campaigns on the road, with the help of special equipment and trucks – a modern fleet of trucks for great-looking events, fully customizable, travelling and stopping on the way, bringing the brand in direct contact with the target audience. With its unique know how, ALF Service offers various lighting solutions for both indoor and outdoor activities. Catering for any occasion such as conferences, concerts, conventions, exhibitions, fashion shows, shooting commercials films and music videos. For the strongest impact and the longest lasting memory of the message. With over 4,000 guests welcomed on board in all these years, Sailing Challenge organizes regattas and sailing events for companies in Italy and abroad. The events last from half a day to three days. Sailing Challenge’s staff and skippers are prepared and trained to handle even totally inexperienced people. 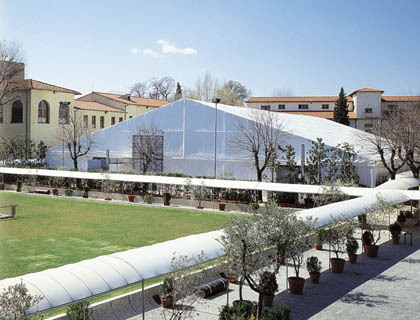 Eurotend is one of the largest and most qualified companies dealing with the rental of temporary marquees. 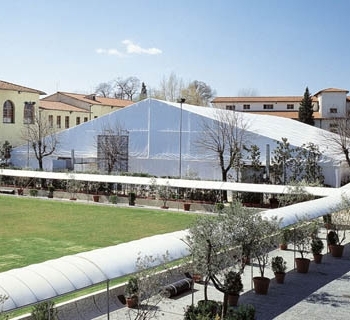 It specialises in the installation of marquees allowing to host exhibitions, sport events, conventions and any events requiring huge structures made from aluminium and PVC, provided with excellent quality and outstanding technical features. Red Travel–Italia in Ferrari organizes very exclusive incentive and corporate event based upon the best of “Made in Italy” exclusive and luxury experience. They are tour and events characterized by a unique and innovative concept: offer to the guests the full range of the Ferrari cars currently in production. 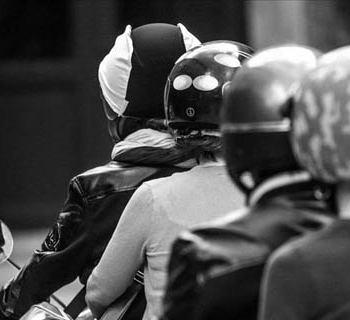 HR Tours offers vintage cars with or without driver, vintage Vespas with rider, vintage Spiders without driver, bicycles, scooters, modern cars, 9-seater Minivans, spiders and modern luxury cars without driver. 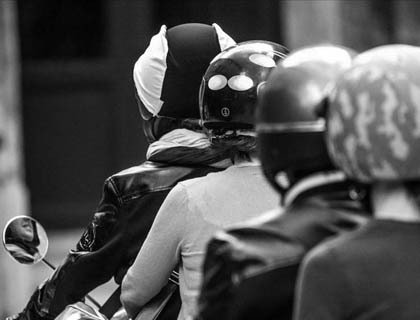 It provides also with exclusive tours of Rome on board vintage Vespas and Lambretta from the ‘60s and ‘70s. Mongolfiere.it has a thirty-year experience in aerostatics. It carries out both tourism activities such as passenger flights, incentive flights, mass demonstrations, participation and organization of aerostatic events, and promotional activities through either the use of balloons as advertising media or inflatable advertising supports. IF–Italy’s Finest creates exclusive experiences dedicated to the art of living in Italy. Thanks to the originality of its proposed experiences, IF services are an ideal tool to welcome prestigious guests. Proposals range from the nocturnal visit to the Vatican Museums to the extraordinary opening of archaeological sites. 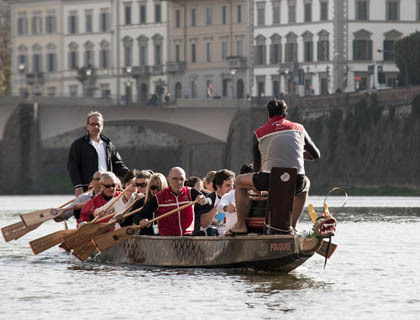 Members involved: Red Travel-Italia in Ferrari and Sailing Challenge. A small event of great prestige managed by Red Travel in collaboration with Sailing Challenge. 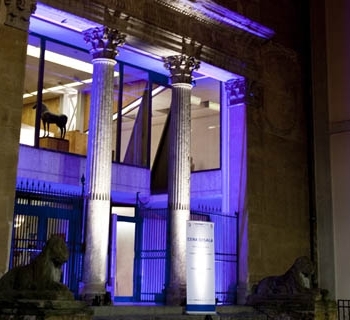 Starring ten general managers of Clearstream Bank, plus accompanying persons, from all over the world and housed in the beautiful Hotel De Monti, a historic building in the heart of Rome, which in the days of the event was reserved exclusively to the group. The plan was a dream one: a day full time around the area of Castelli Romani aboard a superb fleet of the latest models of Ferrari and Lamborghini (total ten cars): unforgettable views in the cool summer of the place, on the beautiful supercars after appropriate technical briefing and under the constant supervision of Red Travel’s staff (ten people plus a photographer on board four assistance vehicles). 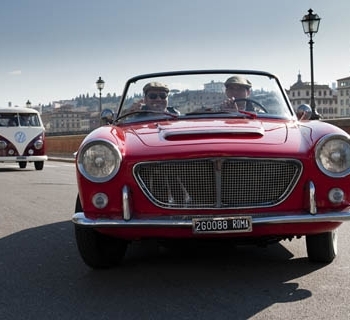 In addition to driving the cars, which is a pleasure in itself, the participants had other prestigious leisure activities: food and wine tastings, cultural visits to castles, five-star Spa treatments and dinners at gourmet restaurants. The program was completed by Sailing Challenge, with an amateur regatta along the Roman coast, aboard two sailboats, thus arousing the enthusiastic approval of all. The aim of this event, completely designed and managed by Simmetria agency, was to strengthen the “corporate identity” and to motivate the participants focusing on concepts such as teamwork and leadership. According to the rules provided by Simmetria, a score was assigned to each team based on the result of the activities, with a winning team. It was really three events in one. The two activities fully integrated one in each other for an original result enjoyed by all. 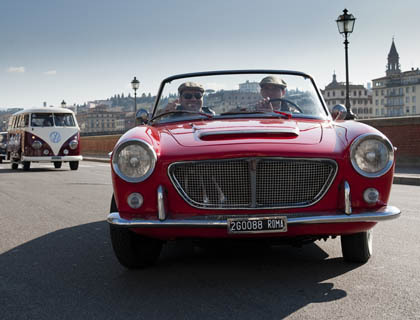 Members involved: HR Tours and IF-Italy’s Finest. 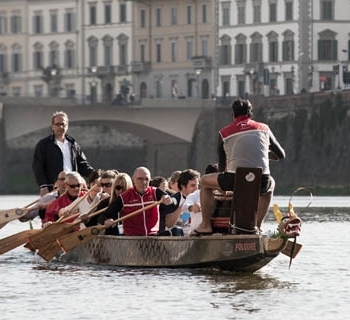 An insurance company in Austria led to Rome sixty top managers for a memorable day between vintage tours and a full immersion in the historical heritage of the city and its surroundings. Aboard ten Volkswagen minivan registered in 60-70 years (the so-called “bullies”), with driver in vintage uniform, the group has come a complex cultural and visually stunning route, from the Colosseum to Ostia Antica, with vintage music, coolers with sparkling wine and drinks as well as trays of warm pizza. Panem et circenses – The Colosseum from the unusual prospect of the backstage of the famous games. The largest store in the world – The river port of ancient Rome, in nowadays’ Testaccio, point of arrival of the goods delivered by sea to Ostia and traced along the river on barges towed by buffalos. The dream of a dictator – A walk along the Eur between rationalism and modernity. 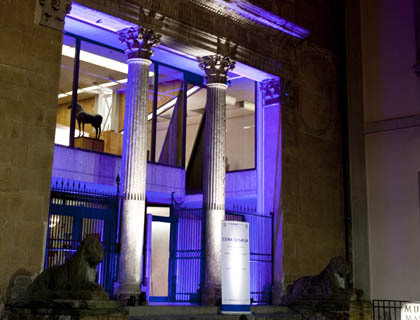 Opulence and decadence – Visit to a late merchant house in the Eur’s Museum of the Middle Ages. Business and pleasure in ancient times – The daily life in Ostia Antica. Eventually, the group moved to Ostia Mare for a lunch at the restaurant “La Rotonda”.